The team competed in a range of track and field events including long jump, javelin throw, chest push, obstacle course and relay races. Our highly competitive team brought home the gold in their heat of the track events, taking second place overall. 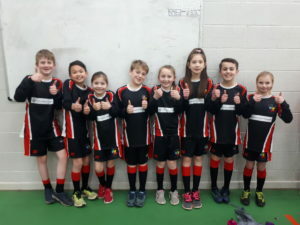 Superb sportsmanship was demonstrated by all the children and a great team spirit contributed to their fantastic victory. Well done White Tigers!